Inside the drab Vigliotti Building near downtown Detroit, the people’s sacred business unfolds behind dingy tables and modest black chairs. It may look like a basement or storage closet, but this is the nerve center for Detroit democracy. Envelopes containing printouts of precinct vote counts are stacked along a wall, and behind the folding tables are the four members of the Wayne County Board of Canvassers. They’re set to meet Tuesday to certify the city’s Nov. 7 election. In most places, that would make the election official and everyone would move on. 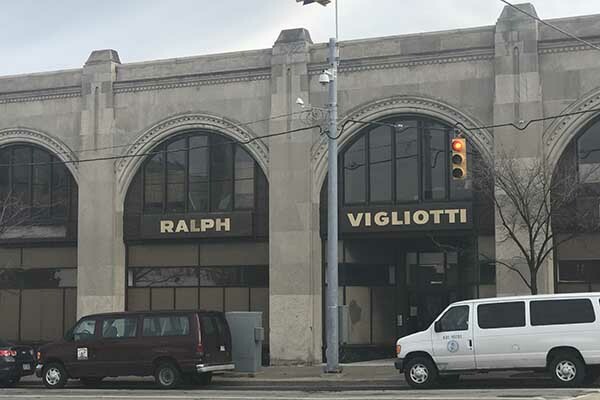 The Vigliotti Building on East Jefferson near downtown Detroit is the home of the Wayne County Board of Canvassers, which certifies the city of Detroit’s elections. But this is Detroit, a city whose elections are routinely beset with complaints and challenges about their legitimacy. This year is no exception. City clerk candidate Garlin Gilchrist II, who had a comfortable lead for most of election night before a wave of absentee votes propelled incumbent Clerk Janice Winfrey to victory, is raising money for a possible recount. By law, he can request one up to six days after the election is certified. The recount possibility and a lawsuit that questioned the city’s handling of absentee votes – but was dismissed Friday – are the latest complaints in a city that’s made national headlines for sloppy elections. 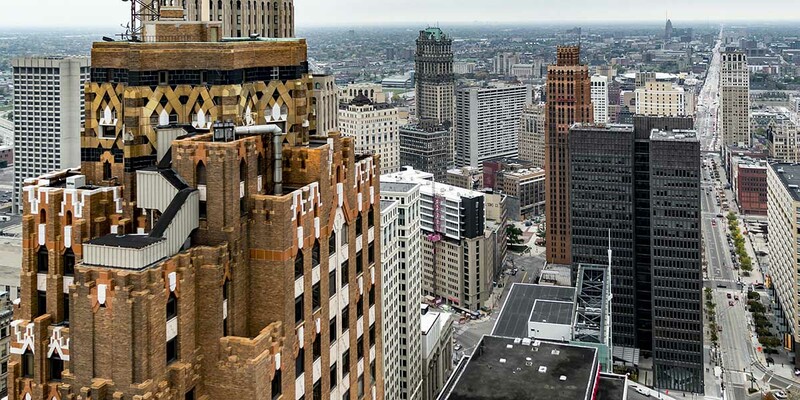 “The fact that you have repeated problems (in Detroit) points to a need for systemic reform,” said Marick Masters, a professor at Wayne State University’s business school who researches political issues. MORE COVERAGE: Botched elections. Missing ballots. Is this any way to run a democracy? He is among those who say Michigan lawmakers should follow the lead of 32 states and Washington D.C. and require post-election audits to check for and correct potential problems. Masters said the integrity of voting in Detroit is of increased importance because Michigan is a swing state in the 2020 presidential elections. Along with Wisconsin and Pennsylvania, Michigan helped propel Donald Trump to the presidency last November. “Any step to build confidence in the system that would involve partial audits, random sample audits, that would be a very good thing to do,” Masters said. City officials say this year’s election was the most efficient in years. The results were tabulated quickly and past problems involving ripped ballot envelopes and discrepancies in voting records were largely absent, officials said. “The department feels good about this election,” said Daniel Baxter, Detroit’s elections director. 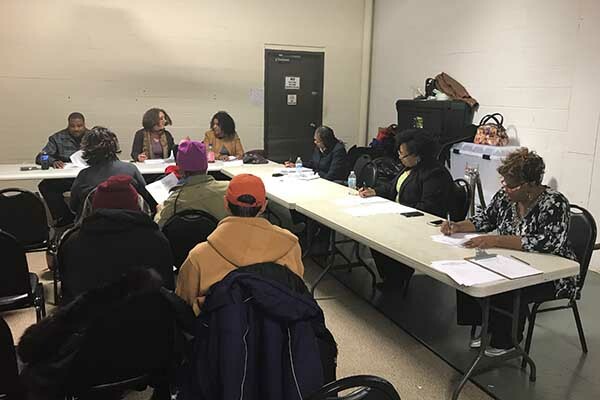 For at least 20 years, complaints about voting have been legion in Detroit, from broken voting machines and power outages to erroneous tallies and missing poll books. Winfrey, a former math teacher, became clerk in 2005 by defeating Jackie Currie, whose office was subject to a federal fraud investigation into votes cast by dead people. MORE COVERAGE: Detroit Mayor Mike Duggan wins big. Does he have a mandate? Last year, Winfrey’s office was embarrassed when it was revealed that half the city’s votes couldn’t be recounted because the number of voters recorded in poll books didn’t match the number of ballots in machines. According to Michigan law, precincts with such discrepancies can’t be recounted. A state audit largely blamed worker error. Since then, Winfrey said she’s improved precinct worker training and replaced old voting machines. At campaign forums, she suggest that those complaining about voting integrity are sore losers. 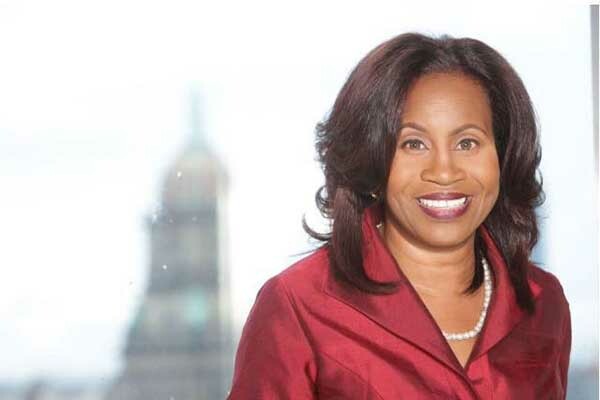 Janice Winfrey, the Detroit city clerk, won re-election by about 1,400 votes on Nov. 7. She had trailed in the vote tally, but pulled ahead after absentee votes were counted. “Elections are not an exact science, but it is one that is driven by human emotion and one thing is certain: At the end of election day, some will be happy and others will not,” she told voters at a summer forum. Gilchrist, the city of Detroit’s former director of new and emerging technology, campaigned as a reformer. An underdog in a city that loves incumbents, Gilchrist had big momentum and practically all major endorsements going into election day. Returns were good for him until about 9:40 p.m. Gilchrist led Winfrey 55-45 percent in the city’s voting-day precincts, building an 8,000 vote lead in an election that had about 100,000 voters cast ballots. Then the city’s 31,174 absentee votes were recorded. In live election results posted on the city’s website, she cut the lead in half at 9:50 p.m. and pulled ahead by 10 p.m. Overall, she won 64 percent of absentee votes, propelling her to a 1,482- vote victory. Winfrey backers said that was always her strategy and played to her base of older residents who vote absentee. But the sudden shift raised eyebrows, and the suspicion of Anita Belle, a registered elections challenger and Green Party activist. She filed a lawsuit Nov. 10 that sought to discard all the absentee ballots because of accusations the clerk used improper verification procedures, making them vulnerable to fraud. Belle’s complaint alleged that color copies were made of about 1,200 absentee ballot envelopes that were collected that day and sent to counting boards at Cobo Center. The city’s elections director, Baxter, said the original envelopes were signature-verified 4 miles away at the city’s Department of Elections on Grand Boulevard. This process, which also was used during the primary election, expedited vote counting so results could be reported before the end of the night, Baxter said. In prior years, Detroit officials would spend all night and part of the morning after election day counting votes. The clerk, he said, has discretion to tailor ballot processing – including using photocopies in the absentee verification process – as long as the secrecy of the ballot is not violated. Belle, who has unsuccessfully challenged other Detroit elections, said she will appeal. “There are already people who feel like, ‘Why vote? My vote won’t count,’” said Belle. “My challenge is meant to inspire more confidence in the electoral process,” she added. Gilchrist, meanwhile, said he heard from several residents who showed up to precincts on election day and were told they already voted absentee or received absentee ballots in the mail they didn’t request. 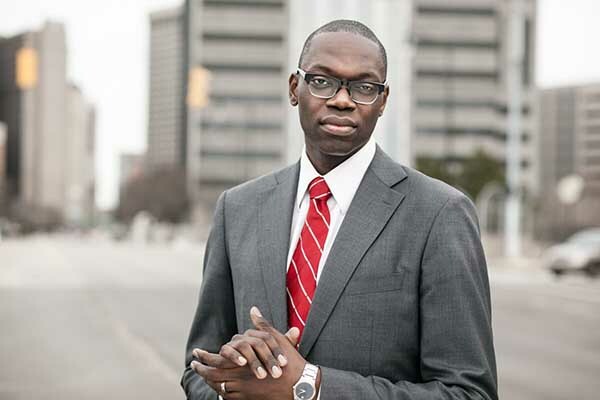 Garlin Gilchrist II, who lost the race for Detroit clerk, is considering asking for a recount based on complaints about voting and counting irregularities. If Gilchrist opts for a recount, the odds are against him, at least one study suggests. FairVote, a nonpartisan group based in Maryland, studied 27 statewide recounts nationwide from 2000 to 2015. Only three were successful, and they were in elections decided by 01 to 0.2 percent, or less than 200 votes. “Generally, that’s such a big margin it would have to be a pretty big system error or failure” for Gilchrist to overturn the results, said David O’Brien, a researcher at FairVote. Detroit’s elections could be improved through post-election audits, O’Brien said. Michigan’s Bureau of Elections conducts some post-election audits, but state law does not mandate them. From 2013 until February, the state recorded about 1,400 post-election audits. Last year, the state audited 136 Detroit precincts that state officials described as being the “worst of the worst” in terms of errors. “A post-election audit of a precinct is random with the rare exception of audits, such as the one in Detroit after the 2016 election, that are specifically targeted when special circumstances warrant one,” said Fred Woodhams, spokesman for the Michigan Secretary of State’s Office. That’s not enough, said Marjorie Sarbaugh-Thompson, professor of political science at Wayne State University. She said elections, especially in Detroit, would have more integrity if the state required post-election audits to ensure equipment and vote counting procedures worked and that the election results were correct. The National Conference of State Legislatures reports the post-election audits take several forms, including randomly recounting a small percentage of precincts. In the Midwest, Ohio and Illinois have post-election audits procedures that need improvement, while Wisconsin and Minnesota have generally good and good audit processes respectively, the study showed. Michigan is also unique because, along with Wisconsin, it is the only large state that allows local municipalities to supervise all elections. Most states give that power to counties. “In Michigan, we’re laggards … ,” Sarbaugh-Thompson said. Voting is not an exact science, says Janice Winfrey. Well in my humble opinion, voting is rather objective. Someone marks a ballot, someone or something counts the marks, and 1+1 = 2, always. Nothing subjective there. It is, or should be, a very exact science. “Elections are not an exact science"? Ms. Winfrey's job is to ensure elections are indeed an exact science. Ms. Winfrey is evidently unable to distinguish between campaigns and elections. It should be obvious to anyone when someone screws up something as basic as counting ballots, that they be held responsible for their actions and would be staring through jail bars for a long time along with being removed from their office, as what should've happened last year with Clerk Winfrey. But since holding people responsible for their actions is an alien concept in Detroit, don't expect anything to change, especially the results of the Nov. 7th election. I believe the votes need to be recounted. Ms Winfrey is the reason Trumpet is in the White House. She should have been forced to resign after that mess.